This is NOT the proper way to apply sunscreen. Though they may seem temporary, sunburns can have lasting, damaging effects on the skin, risking the likelihood for skin cancer, as well as premature skin aging. The best protection, most dermatologists agree, is to stay out of the sun, or, at best, wear sun-protective clothing. But when all else fails, grab the sunscreen—and don’t hold back. Hands down, the best sunscreen, as Penn dermatologist Thuzar Shin often says, is the one you will, well, actually use. “It’s the one you are going to want to wear,” Shin said. As overwhelming the sunscreen options may seem, one good place to start, said Nazanin Saedi, is Consumer Reports, which, this year, rated 73 lotions, sprays, and sticks. This IS the right way to apply sunscreen. 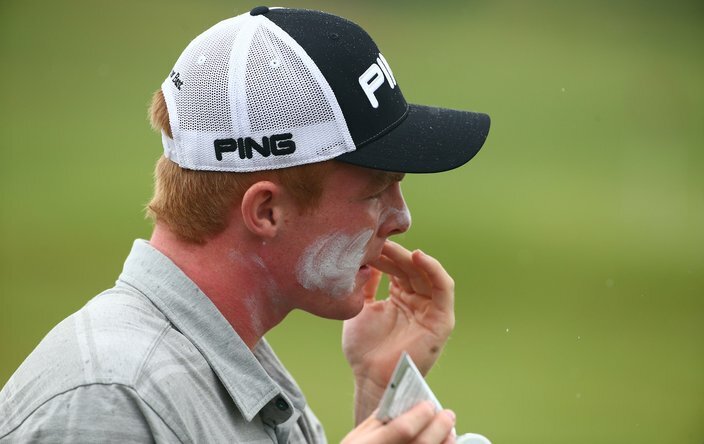 Amateur golfer Mason Andersen applies some to his face at the range during a practice round of the U.S. Open golf tournament at Erin Hills in Erin, Wis. on June 13, 2017. The sunscreen with the top rating? La Roche-Posay Anthelios 60 Melt-In Sunscreen Milk, which boasts a fast-absorbing, velvety finish—and rings in at about $35 a pop. A bit on the pricy side, Saedi said it’s one she uses herself, and would recommend it. But, if cost is a concern, there are varied other sunscreens from which to choose, with a few standard rules to keep in mind. 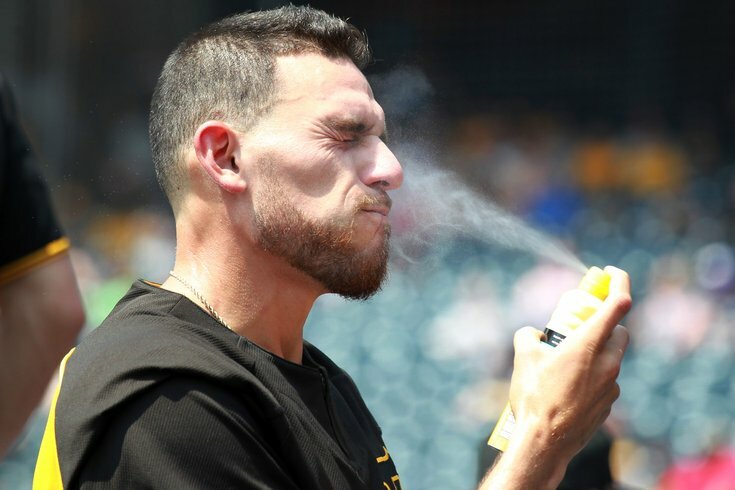 “I usually recommend for the body SPF 45 or 50,” said Anthony Santoro, a dermatologist at Temple’s Fox Chase Cancer Center. Studies show lotions provide better overall coverage than spray sunscreens. No matter the brand, two ingredients to pay attention to, said Samantha Colosi, a dermatologist at Center City Dermatology, are natural minerals zinc oxide and titanium dioxide, which act as a shield, deflecting the sun’s rays. They’re used—together or separately—in physical sunscreens, and are typically recommended by dermatologists, especially to people with sensitive skin. “The more natural brands have physical blockers,” said Saedi. Chemical sunscreens, on the other hand, contain ingredients like oxybenzone and avobenzone, which absorb the sun’s rays, and contribute to formulations that rub into the skin more easily, without a white residue, though they tend to feel a bit greasier. Slathering on sunscreen could be one of the factors behind people becoming vitamin D deficient, a new study suggests. It’s important to like the look and feel of the sunscreen you choose, especially because it’s supposed to be applied so frequently. Dermatologists suggest most adults need about 1 ounce—or enough to fill a shot glass—to fully cover their bodies; an amount that should be applied every two hours, or soon after swimming or sweating. Also, sunscreen shouldn’t be used when it’s expired. “That’s for a couple reasons,” said Saedi, noting the breakdown of ingredients. When it comes to our faces, said Santoro, there are no ifs, ands, or buts about it: We should be protecting them every day. “Even when you’re riding in your car going to work, 10 to 20 minutes in the car for the face can cause enough damage that, over time, it will cause wrinkles, fine lines, sunspots, and also increase your risk for skin cancers,” he said. Some people say they “break out” when they use body sunscreens on their face, noted Colosi. She typically suggests finding a facial sunscreen that not only has SPF 30 and zinc oxide, but also is oil free, fragrance free, and non-comedogenic, meaning it’s not going to clog your pores. “I have found with younger women, it’s easier to get them to wear tinted sunscreens,” Saedi said. 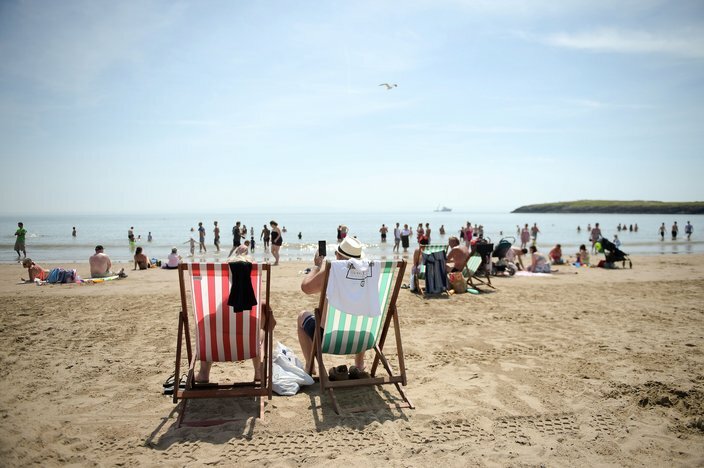 File photo of people on the beach at Barry Island, South Wales, as people are being warned to wear sunglasses to help protect against skin cancer after research found sunbathers generally forget to apply sun cream to key areas of their face. Ease of use, which Saedi said “shouldn’t be overlooked,” is also key to finding the right sunscreen. Even though the FDA is investigating the potential health risks of spray sunscreens, Saedi said they are good for people on the go—“It makes reapplying and wearing sunscreen just easier to do,” she explained, noting that it’s important to not spray it directly on you or your kids’ faces—spray it on your hands first, and rub it in. On that note, Colosi said, you can’t just spray the sunscreen on your body and call it quits. “You have to make sure you rub it in after you spray your skin,” she explained. As skin cancer becomes more prevalent—the Skin Cancer Foundation says one in five Americans will develop skin cancer by the age of 70—it’s prompted the U.S. government and sunscreen manufacturers to at least get the ball rolling when it comes to conversations about more innovative sunscreens. You know, like the ones in, say, Europe. 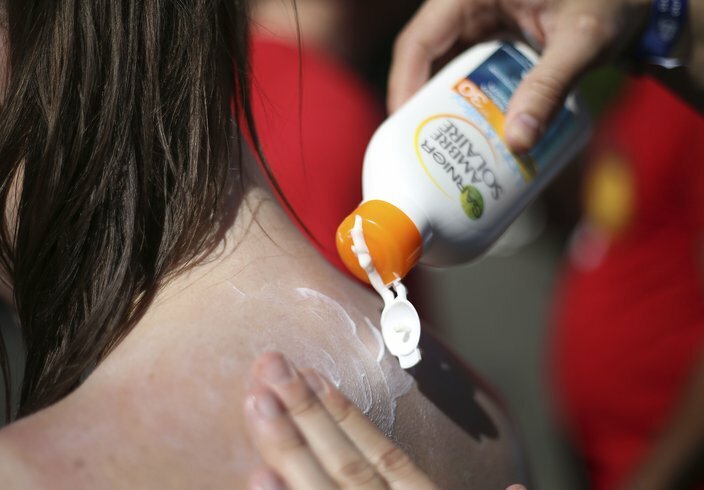 “It’s not that we don’t have good sunscreens in the U.S.,” said Shin. More consumer choices, although it seems daunting, just allow for more trial and error. Find the sunscreen that you love—with ingredients, a texture, and a smell you will want to wear day after day.